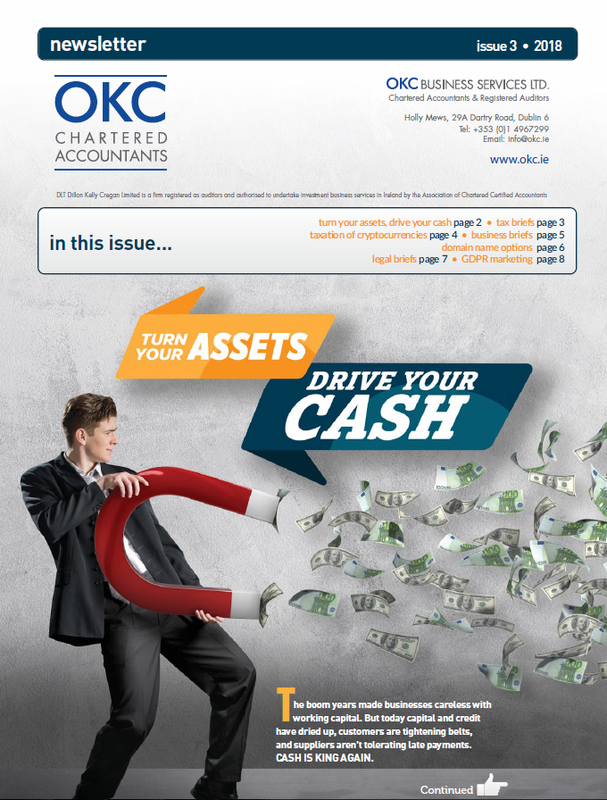 In this issue - "Disruptive technologies fund", "Developments for small self administered pension scheme investors" and much more. 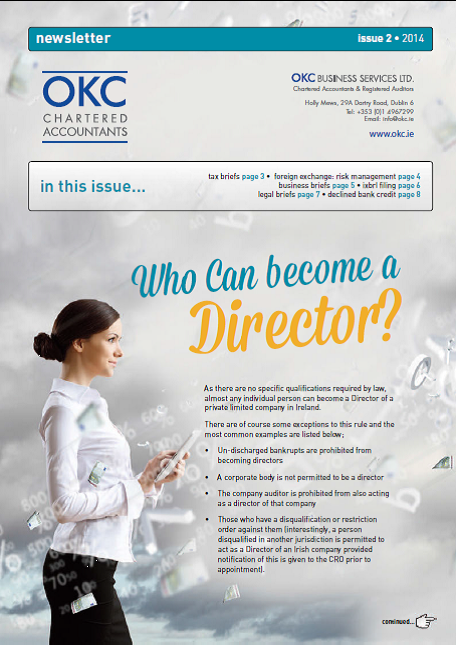 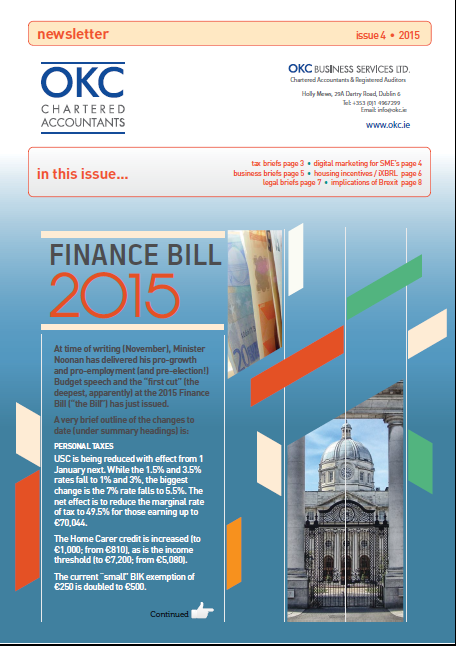 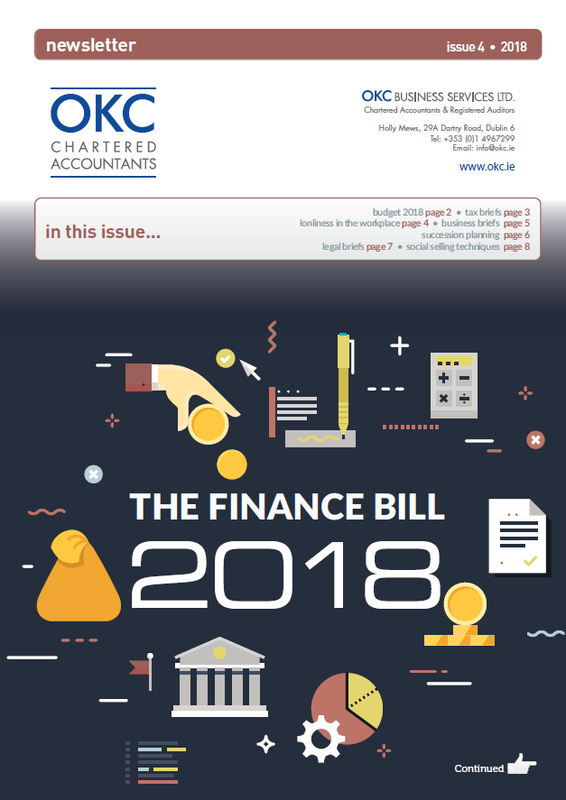 In this issue - "The Finance Bill 2018", "Succession Planning", "Social Selling Techniques" and much more. 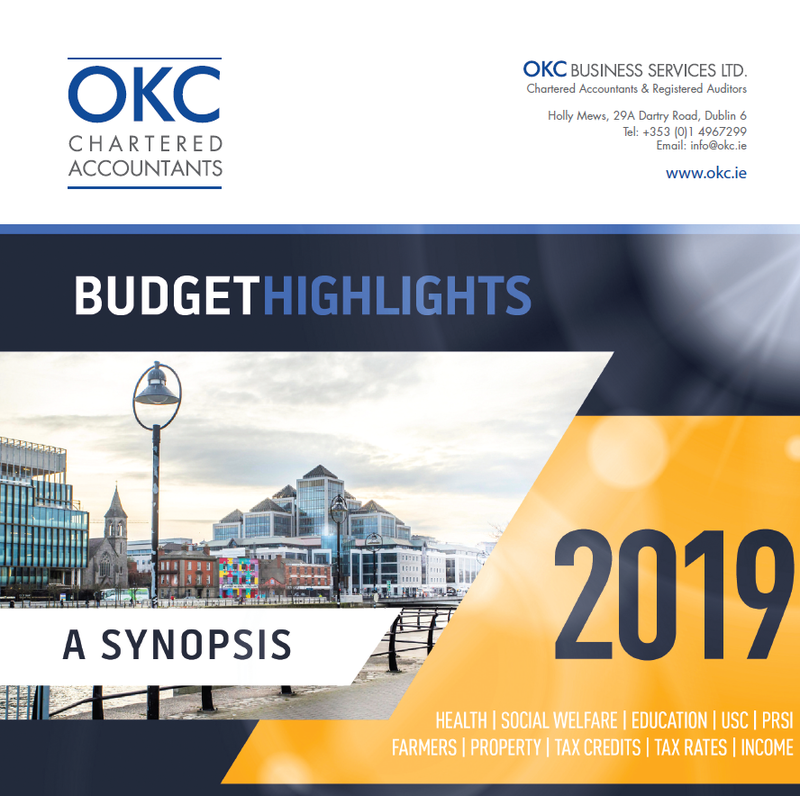 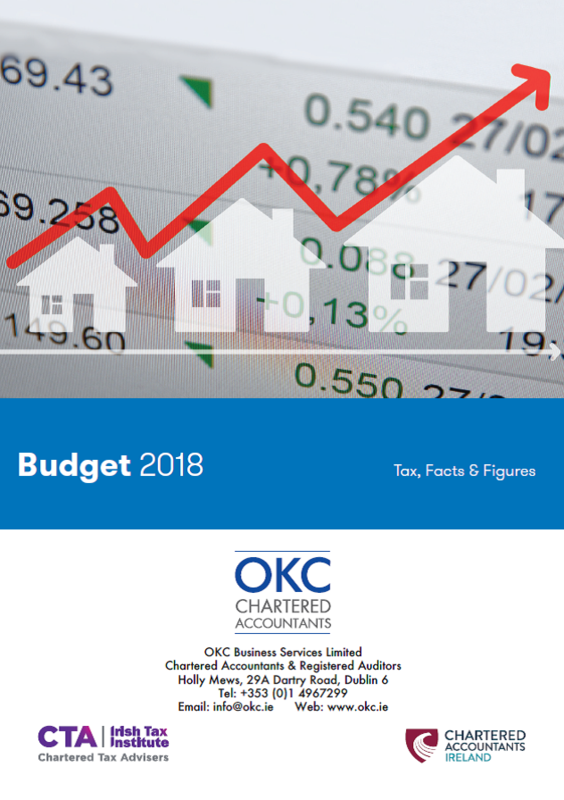 Highlights of the 2019 Budget announced on 9th October 2018. 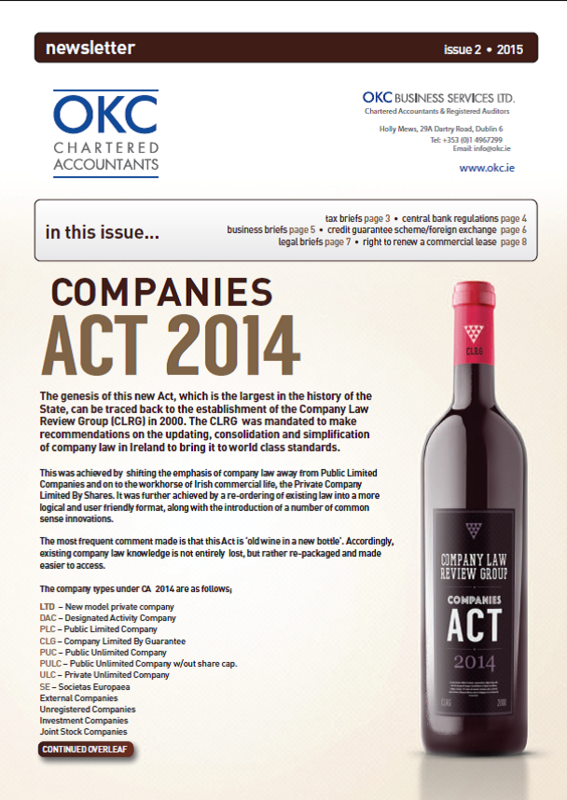 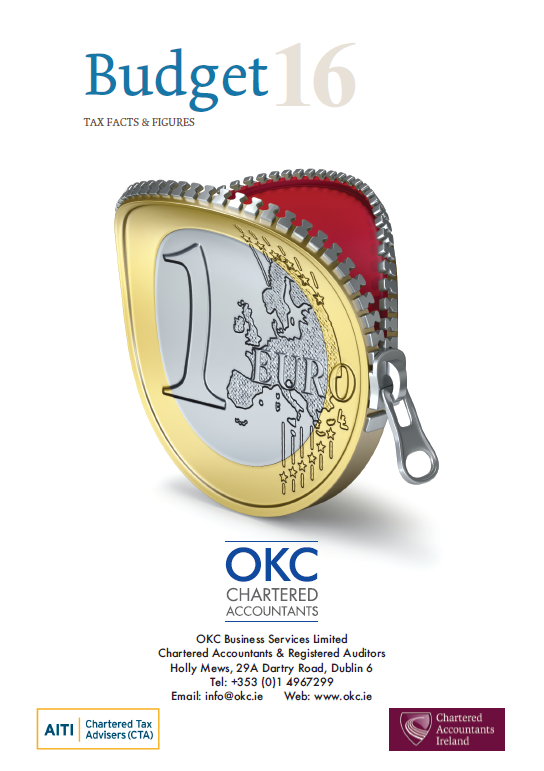 In this issue - "Taxation of Crypto currencies and Crowd funding transactions" , "GDPR Marketing" and so much more! 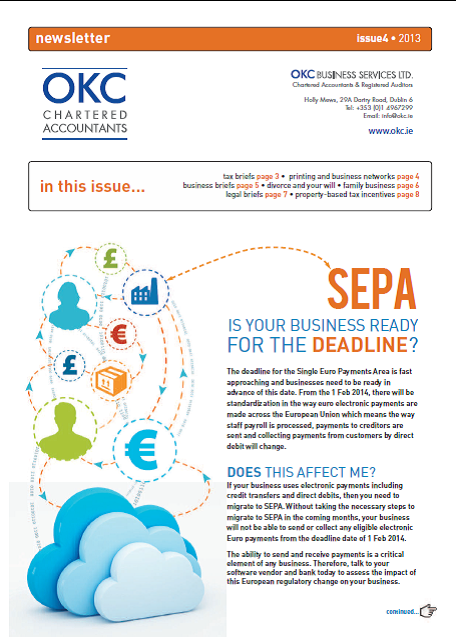 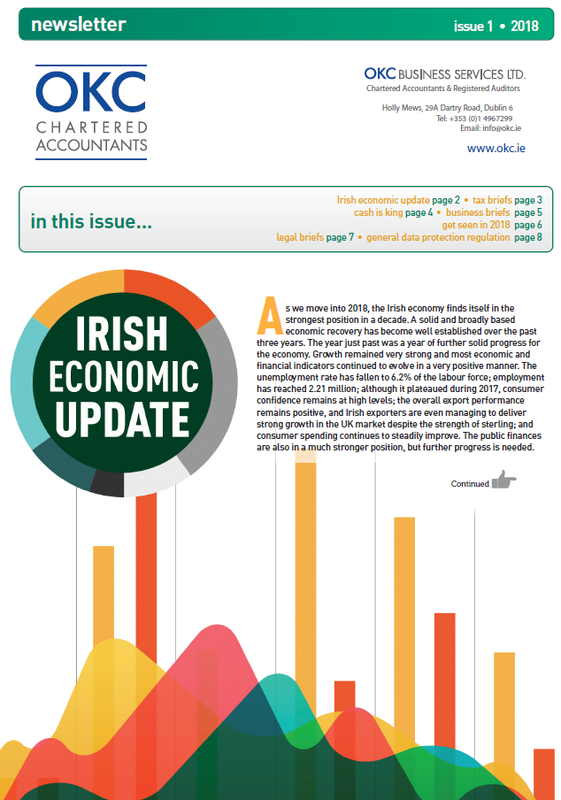 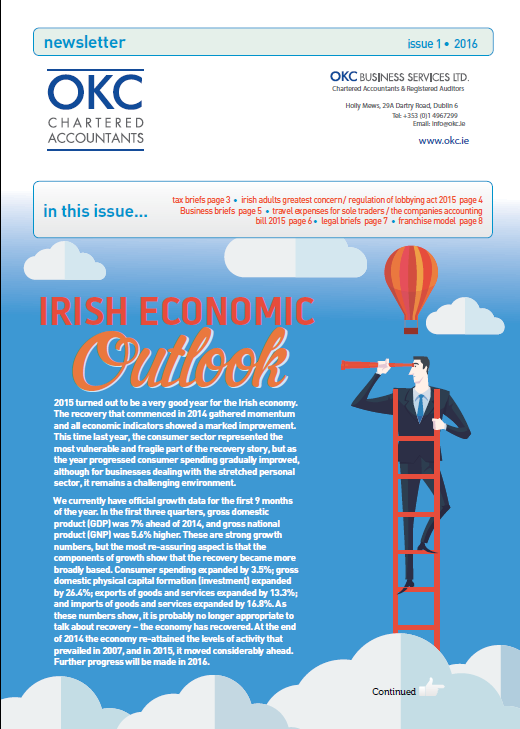 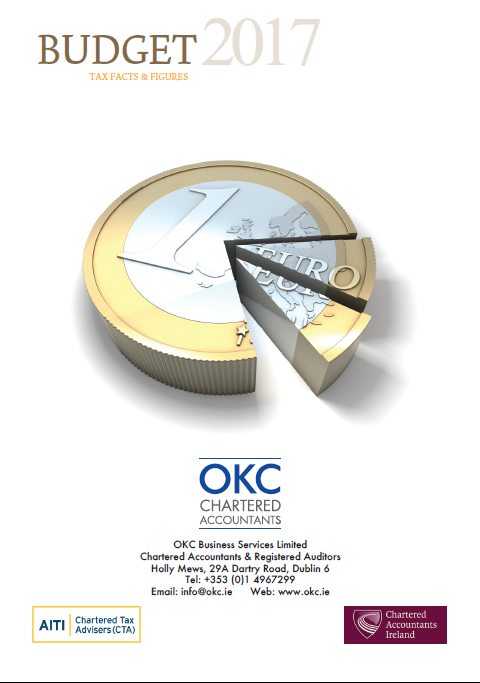 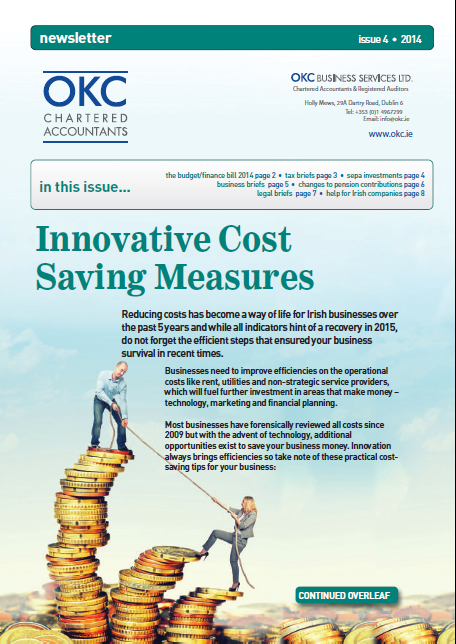 In this issue: "An Irish Economic Update", Cash is King - the importance of managing cash flow for SME's, GDPR - A brief look at the changes to come. 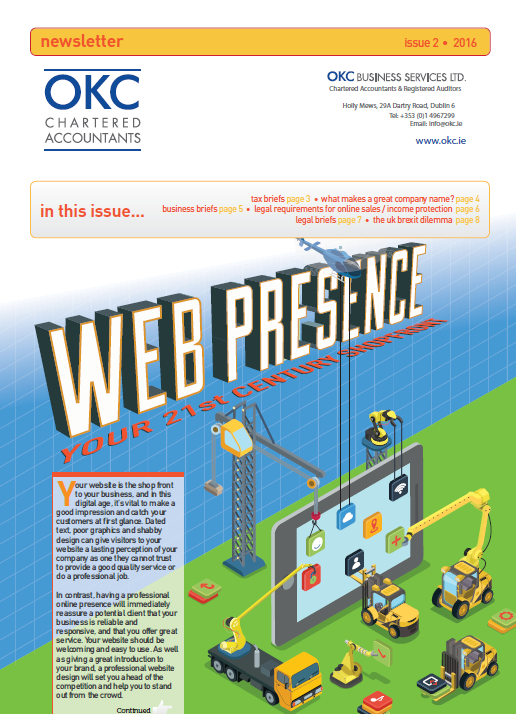 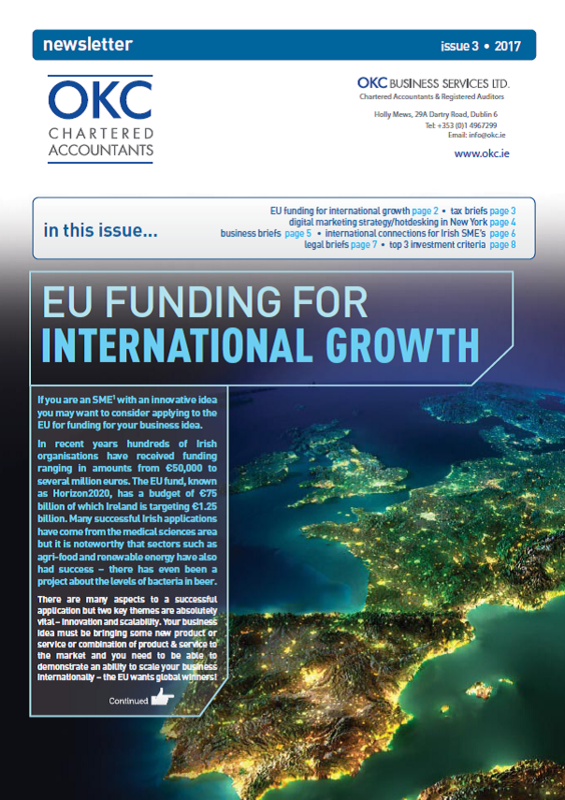 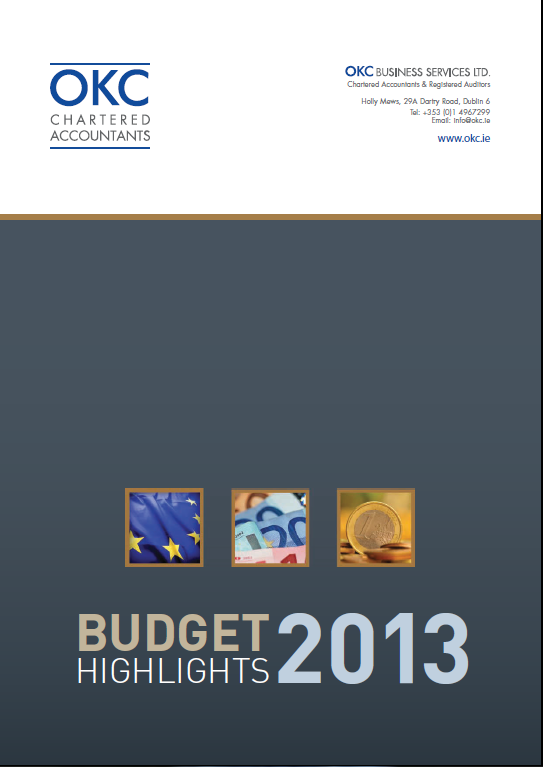 In this issue- Funding for International growth and tips for an effective Digital Marketing Strategy. 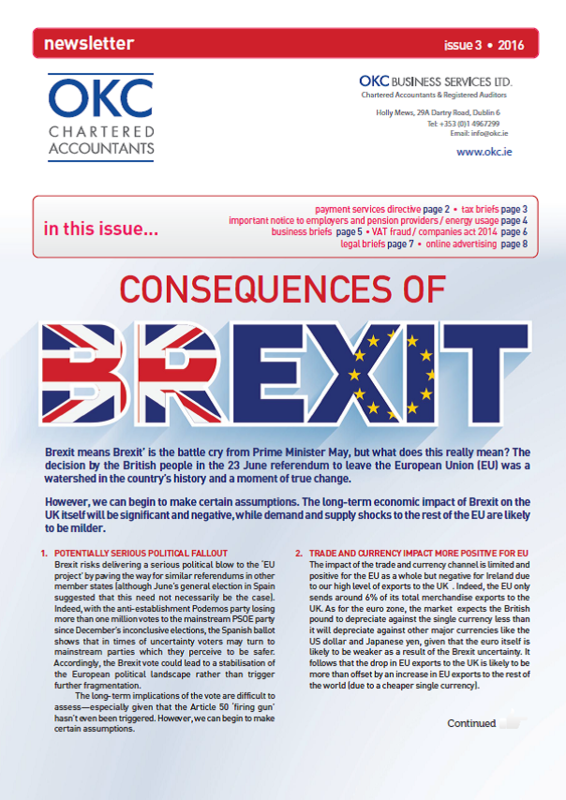 In this issue: - Brexit, Paternity benefit, online advertising, and much more. 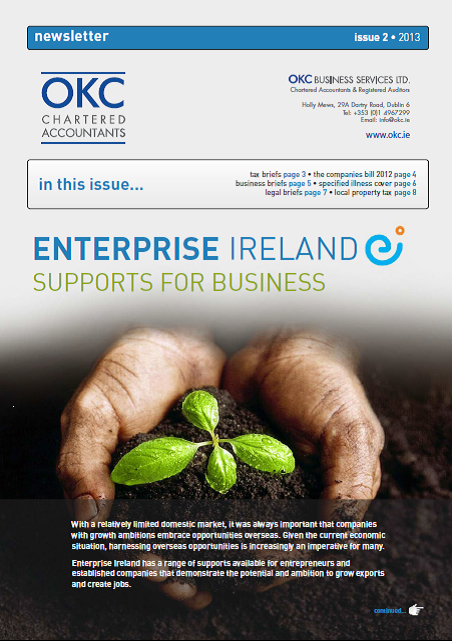 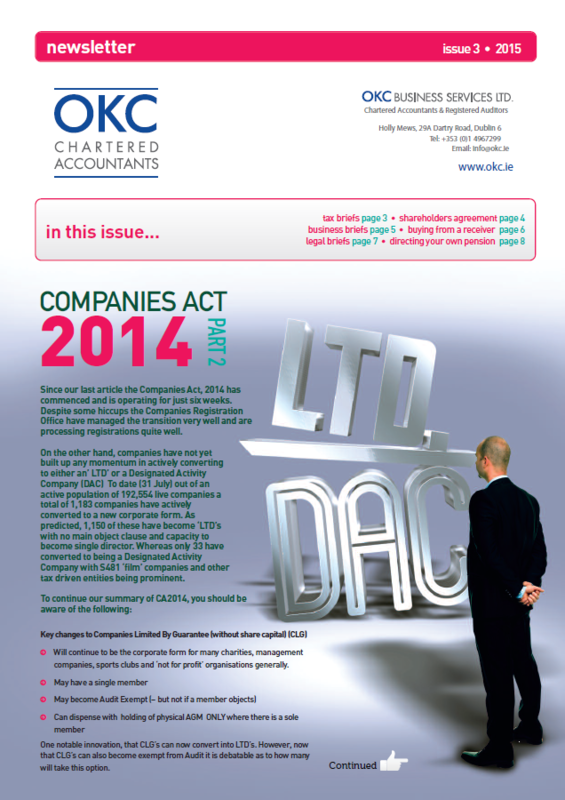 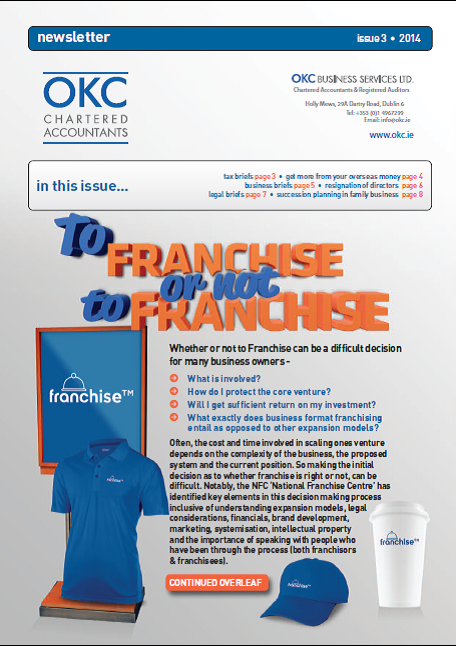 In this issue: - Your website, Your company name, the termination of unused capital allowances, funding for small business, and much more. 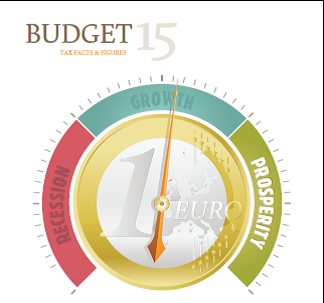 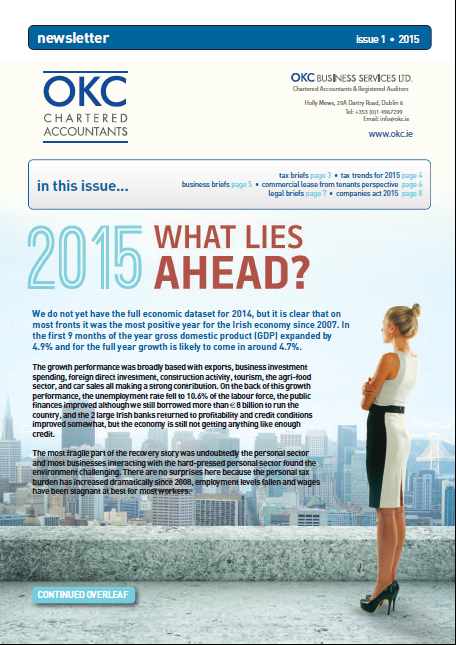 Our Summer 2015 newsletter is out, it's packed full of useful tips and ideas. 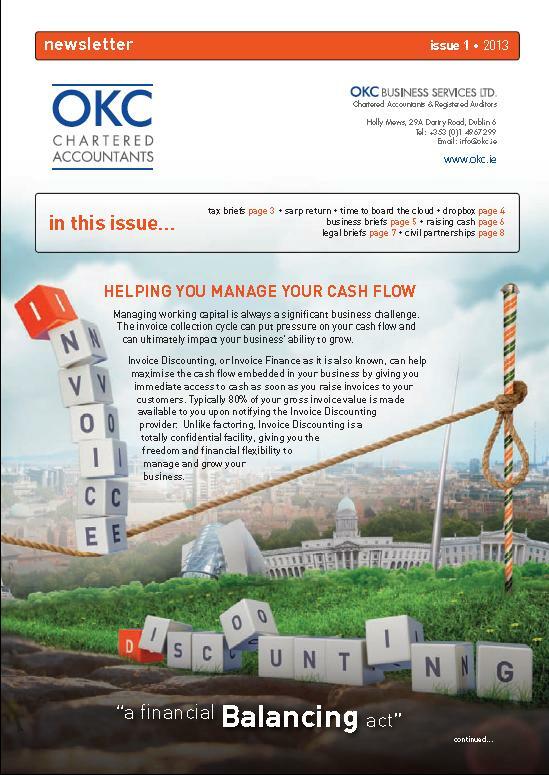 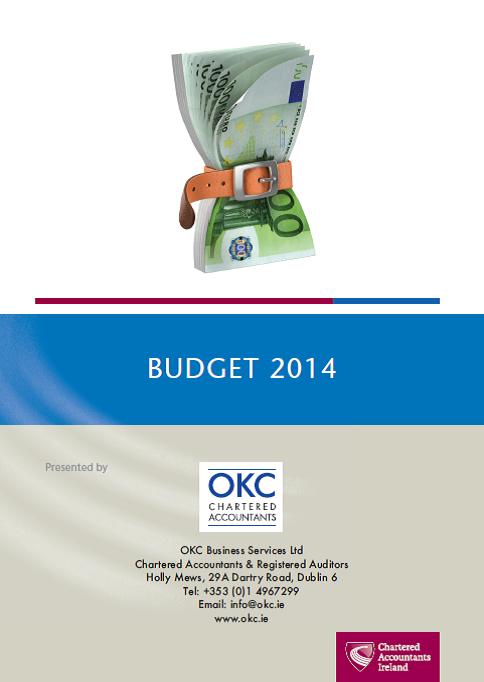 The new OKC newsletter is out, it's packed full of useful tips and ideas. 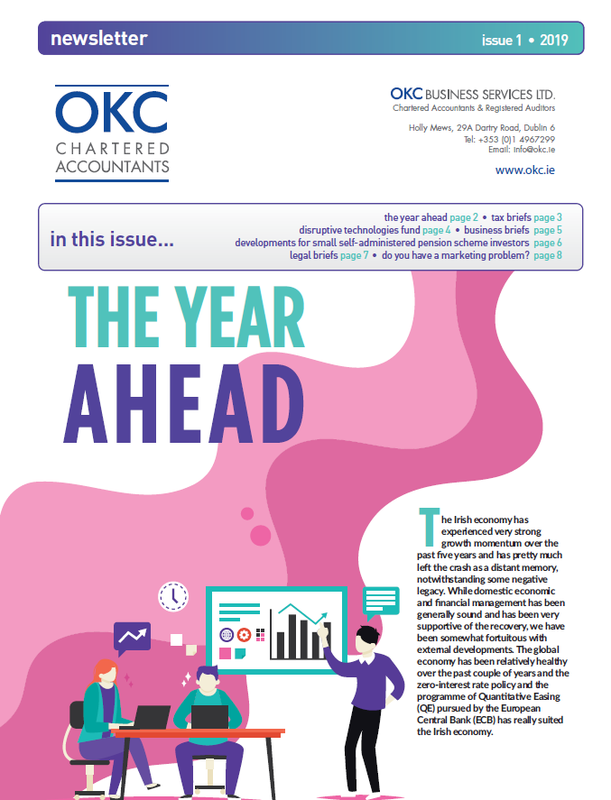 The first OKC newsletter of 2014. 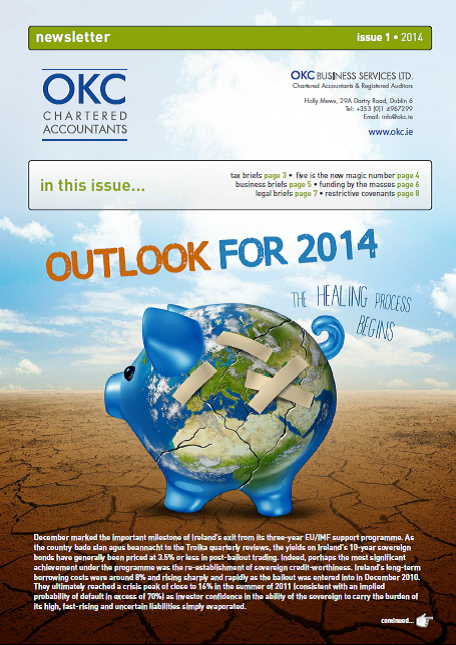 The last OKC newsletter of 2013. 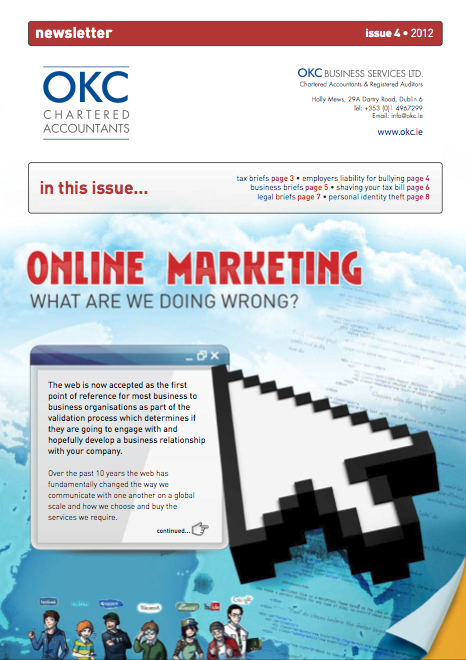 We carried out a survey of our clients and the results are in. 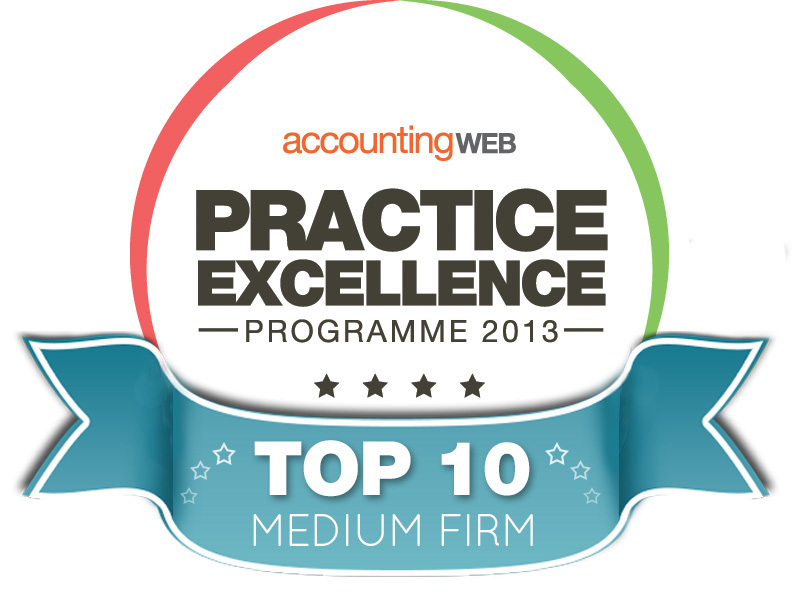 Our clients rated us as one of the country's top 10 medium firms.Thanks again to all who participated. 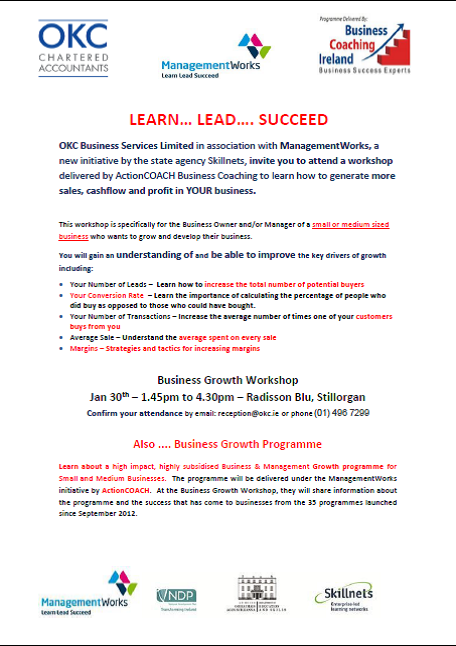 OKC Business Services Limited in association with ManagementWorks, invite you to attend a FREE business growth workshop delivered by ActionCOACH Business Coaching. 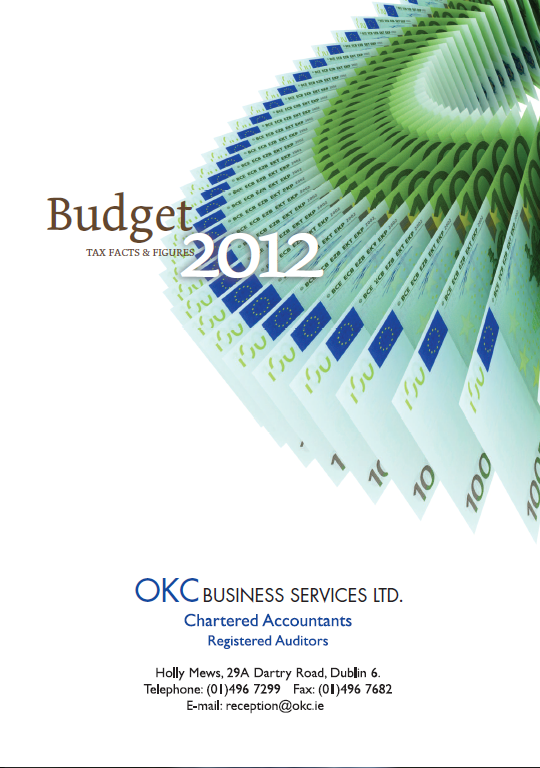 The last OKC newsletter of 2012.